On March 8th, a time of renewal, witnessing the International Freshman Orientation held in Yucai Building. 21 students who are from different countries, such as France, Germany, Korea, Thailand and Indonesia, attended the meeting hosted by their counselor. Before the meeting began, each student took turns to introduce themselves, including their nationality, name and Chinese name, which greatly promoted the understanding of each other and warmed up the atmosphere at the scene. Qin jie, the Dean of School of International Education, and counselor Li Tingting, Zou Dan gave an enthusiastic welcome to students, Provides various information on studying and living in SWUPL, and emphasized the importance of the disciplines and requirements. The meeting not only showed international students the system of bilingual course with wide choices and high expertise, but also introduced Chinese holidays and the activities to be held in this term. In the Q&A sessions and interactive activities, teachers from School of International Educational introduced studying life and relevant matters in details and answered their questions with patience in every aspect. These international students are fond of the brand-new environment and they actively adapted to campus life, enjoyed the taste of Chongqing's delicious food, had a better understanding our school's teaching style and got along well with Chinese students. Some of them even made holiday plans for traveling around China. 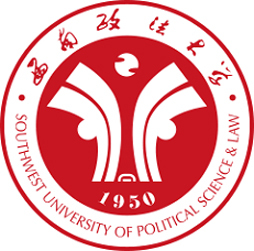 The freshmen’s love for Chongqing will help create a connection between our campus and the outside world, promoting the communication and cooperation between foreign schools and SWUPL. In SWUPL, new things are as attractive as new knowledge. The School of International Education hope every international student can study hard while enjoying every minute and have marvelous memories here.